The minute we walk in the door of a business, we have an immediate sense of its personality. It’s the indelible first impression. The décor is akin to the clothes we select – and how we wear them. And because it’s where employees spend so much time, it has a huge affect on morale. Yesterday I visited the offices Delta Energy recently built. It was warm, comfortable, inviting, and almost shouted “Make yourself at home.” The workplace was a reflection of Delta’s beliefs, behaviors and values. Animoto, a New York City-based company, makes a video slideshow creation app. When it came time to relocate the business, they took a creative approach and literally built their fun and quirky culture into their space. Moving into an old furniture warehouse in SoHo set up the perfect opportunity for creating workspace that accurately reflects Animoto’s personality. As you can see from these photos, the company culture is brought to life throughout the entire office. From the way they creatively showcase their vision, values and life of the logo to the themed conference rooms and offices. Dixon Schwabl, a Rochester, NY based advertising agency, designed their building around their Companies are People, Too profile, “It’s Fun to Do Good Work.” Morale there is the highest I’ve seen, evidenced by being awarded Best Places to Work nationally. Progressive Medical, is an example of a company that instinctively designed its space to its personality – before they took Companies Are People, Too. 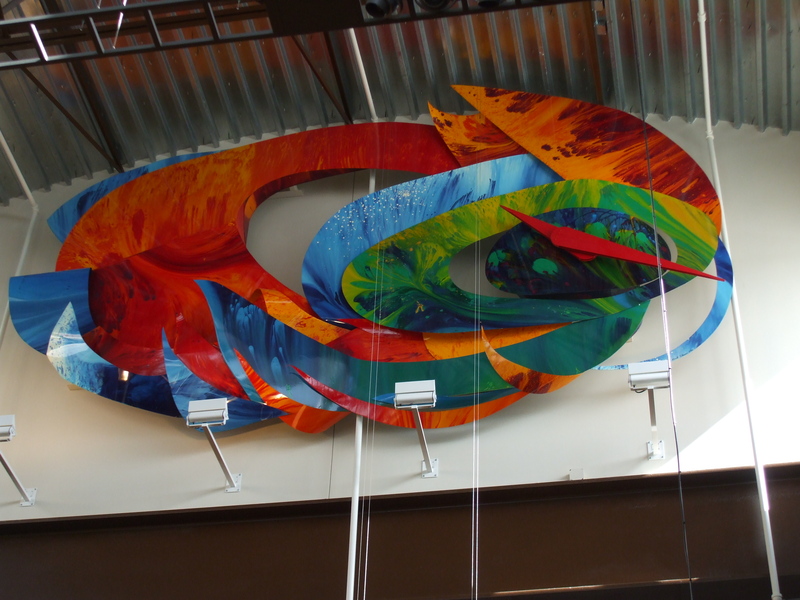 Their profile as a “We Aim to Please” personality is perfectly reflected in the huge, colorful piece of art that is actually a clock and a cafeteria that is a wide open space that lets employees take a break and interact. How have you showcased company culture in your workspace? Share your technique in the comments below.